Jess is heavily involved in the firm’s litigation and arbitration practice areas. 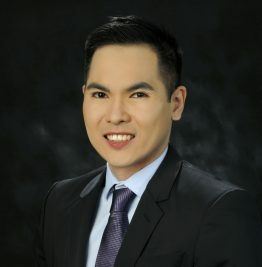 He obtained his Juris Doctor Degree from the Ateneo de Manila College of Law in 2009, where he ranked fourth in his class, and obtained a silver medal for academic excellence. He joined C&G Law in October 2009, and was promoted as one of the firm’s senior associates effective January 1, 2013. Jess was then admitted as a Partner effective January 1, 2017. Jess is also a part-time lecturer at the Ateneo de Manila School of Law, where he teaches Torts and Damages, and Legal Forms. Jess also previously taught Transportation and Public Utilities Law and Credit Transactions at the Far Eastern University – De La Salle University J.D., MBA Consortium. During his undergraduate years, Jess was ranked and recognized as among the top speakers in various intercollegiate debate competitions held in the Philippines, Singapore, Thailand, Malaysia, and the United Kingdom, which were attended by students from the University of Oxford, the University of Cambridge, the National University of Singapore, the University of Harvard, the University of Toronto, and the University of Sydney, among others. He was twice recognized as Asia’s top speaker in debate competitions held in the region in 2004 and 2005. Has appeared and argued before Philippine courts and quasi-judicial bodies of all levels. Jess has assisted the firm’s clients in a broad range of disputes, including criminal cases (as both private prosecutor and defense attorney), civil actions (including debt recovery cases, land and property disputes, injunction cases, tort cases, and damage claims), tax disputes (involving both national and local government taxes), employment disputes, environmental cases, and administrative actions against licensed professionals. Jess has also advised clients on matters involving extradition and immunity. Part of the firm’s team that acted as Philippine counsel for two Philippine solar industry companies in the successful prosecution of a multi-million dollar International Chamber of Commerce (“ICC”) arbitration against their American counterparty. The arbitration was seated in Hong Kong. Part of the firm’s team that acted as Philippine counsel for two Philippine solar industry companies in the successful prosecution of a multi-million dollar ICC arbitration against their Korean counterparty. The arbitration was seated in Hong Kong. Part of the firm’s team that successfully represented a client in emergency arbitration and court proceedings geared towards obtaining an anti-suit injunction, in a dispute which involved the jurisdiction of the Philippines, Singapore, and the United Kingdom. Co-authored the Philippine chapter of Chambers’ Global Practice Guide: International Arbitration 2016 published by Chambers & Partners of the UK in 2015. Co-authored the Philippine chapter of The Dispute Resolution Review, 5th Ed. published by the Law Business Research Ltd of the UK in 2013.